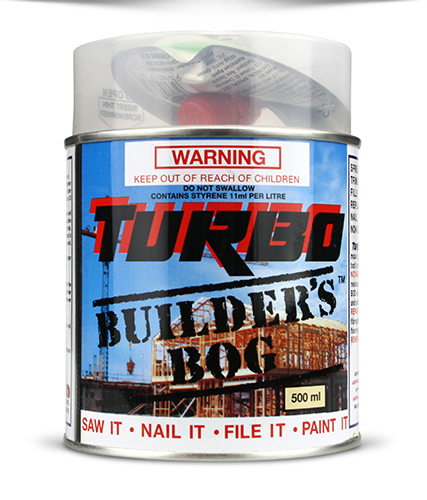 Turbo Builder’s BogIt’s Like Wood In a Can! 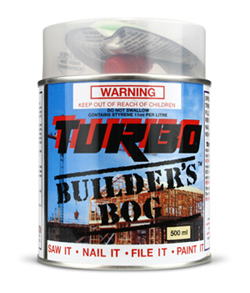 Turbo Builder's bog - It's Like Wood In a Can! 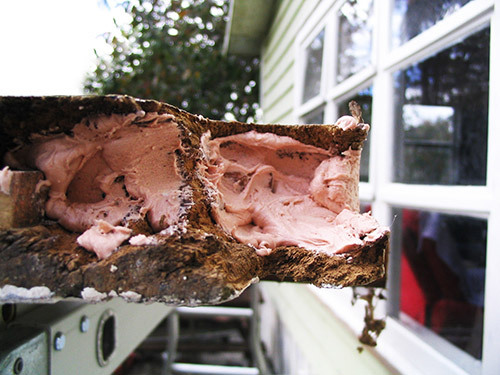 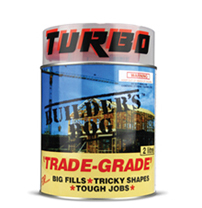 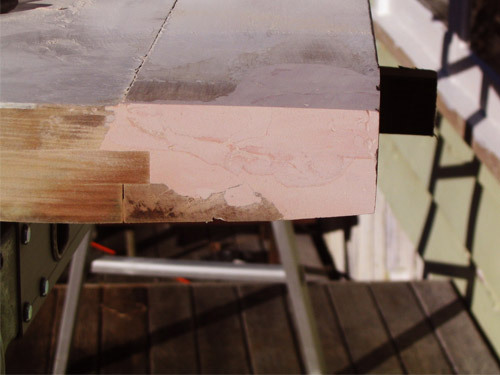 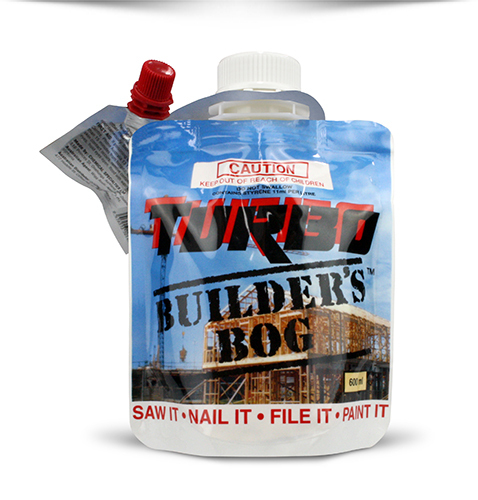 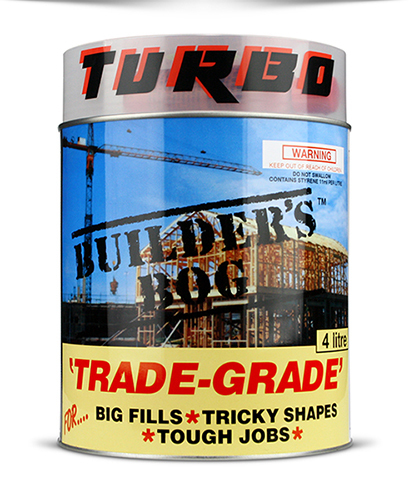 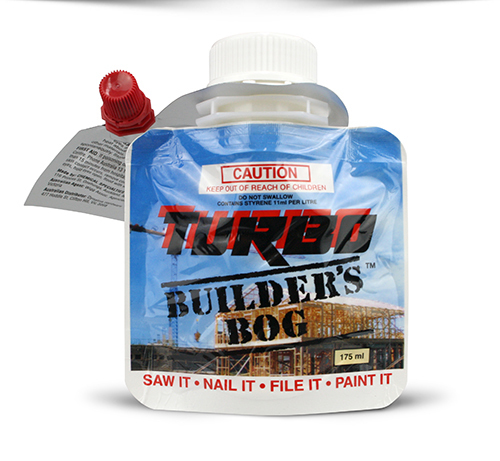 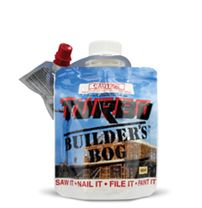 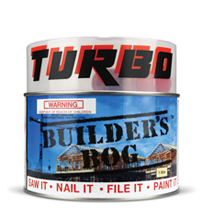 TURBO BUILDER’S BOG® filler is a repair filler especially for builders and painters – It’s Like Wood In A Can! 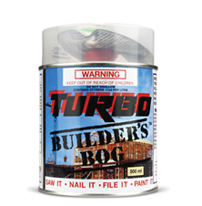 As it sets, TURBO BUILDER’S BOG® passes through a stage like balsa wood, when it can easily be trimmed with a blade or surform file. 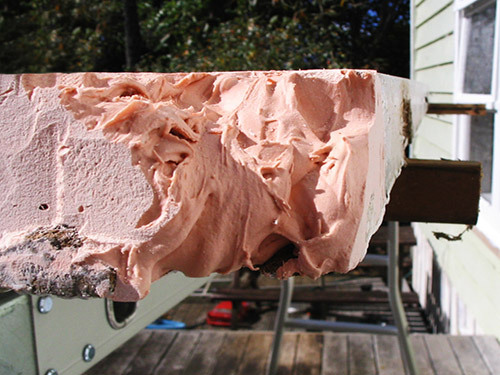 It then continues to harden and lose its tackiness until it can be rapidly sanded with 36 to 80 grit paper to its rough shape before finish sanding and painting. 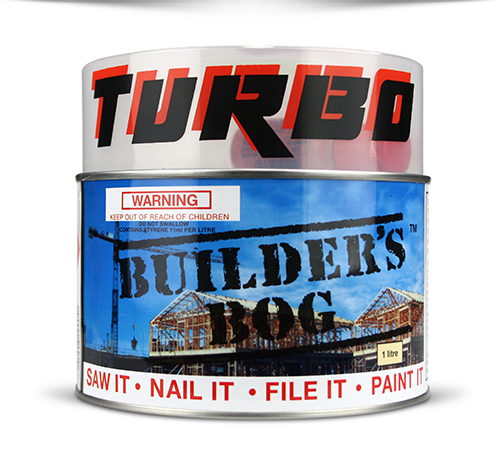 All done within the hour if you wish! 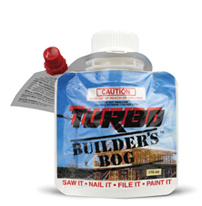 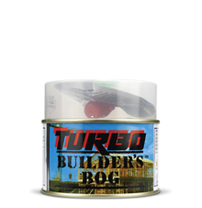 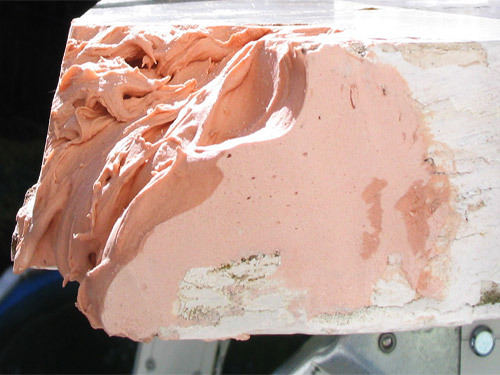 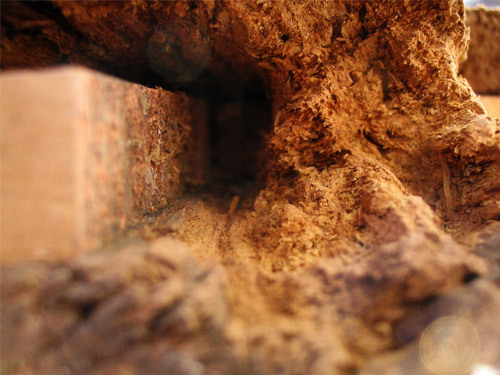 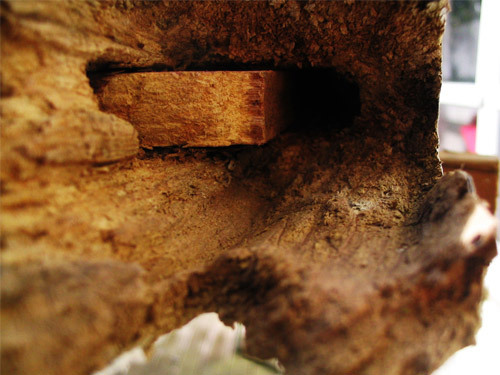 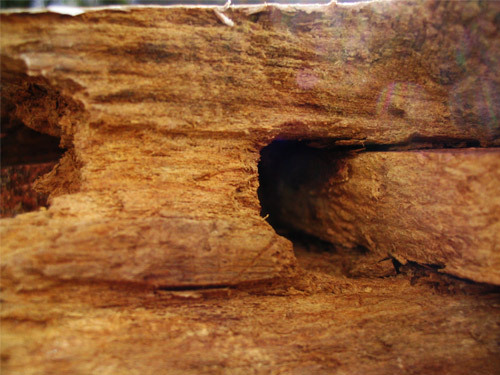 The TURBO BUILDER’S BOG® formula contains cross-linking agents to attach to the cellulose in the timber, which gives a more tenacious bond than normal adhesives, and the subsequent flexibility of the TURBO BUILDER’S BOG® allows it to remain tightly knitted to the timber as it undergoes its normal expansion and contraction. 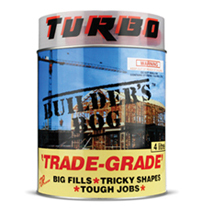 Directions to mix Turbo Builder’s Bog® with Red Hardener. 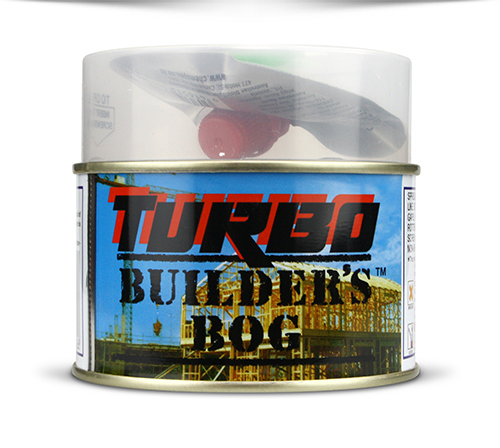 TURBO BUILDER’S BOG® doesn’t cure in the conventional way and there is no discernible shrinkage.